STORY: "Zoanthropes... Beings possessed of animal strength and human intellect. Their existence has been the stuff of legend since the dawn of human history. As technology advances, genetic scientists gain the ability to awaken the beast-like powers that lie dormant in human genes. 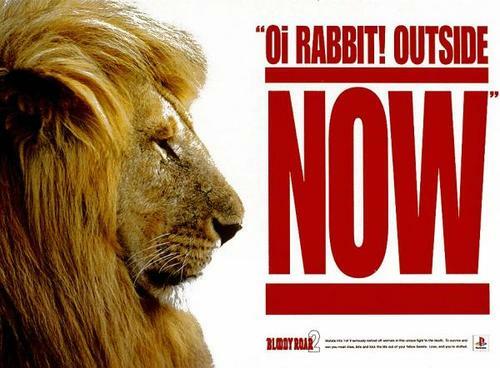 The giant multinational Tylon corporation secretly plots to reap huge profits by exploiting these superhuman abilities. 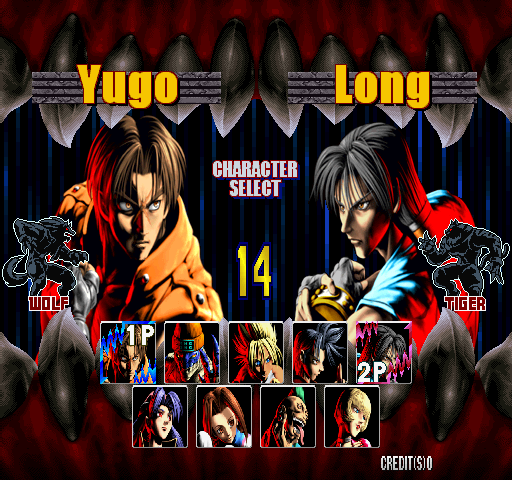 Opposing Tylon is a group of renegade Zoanthropes fighting for the dignity of their kind. 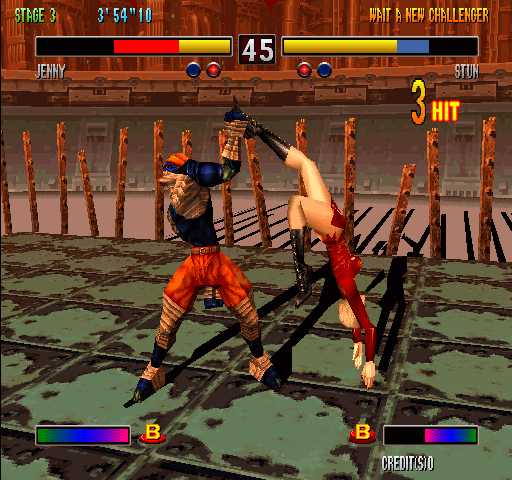 This fierce struggle shocks the world. 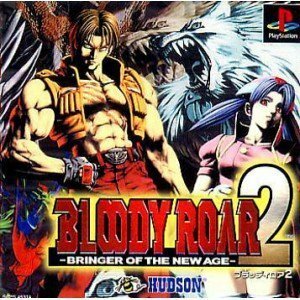 REVIEW: Bloody Roar 2 features four returning characters from the original title while introducing six newcomers. 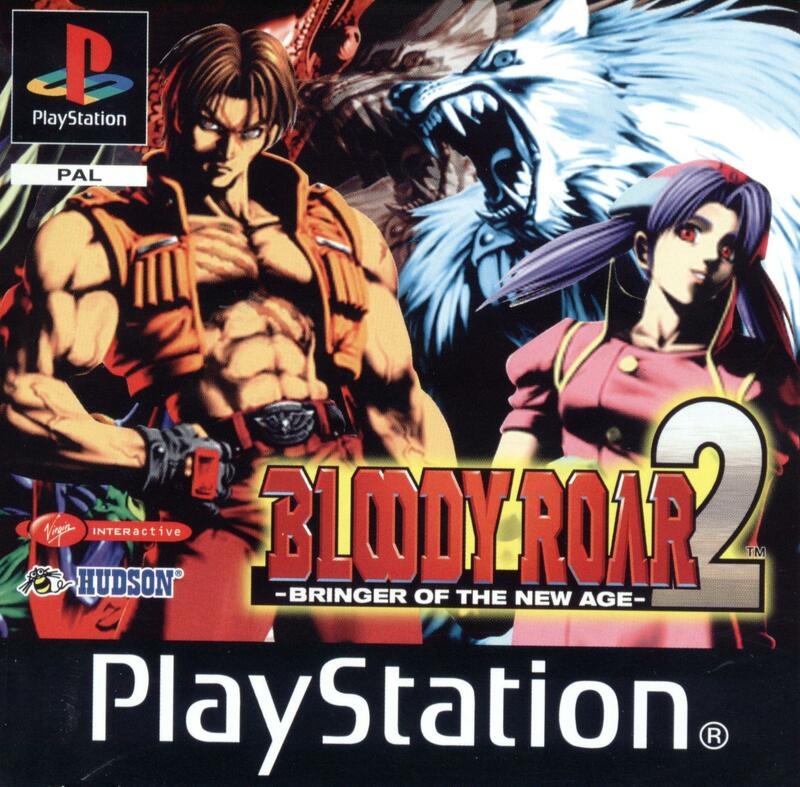 Probably the best part of about Bloody Roar 2 is that some of the more "awkward" fighters from the first title were removed, such as: Greg (The goofy gorilla guy), Mitsuko (the female boar) and Fox (The awkwardly feminine dude). 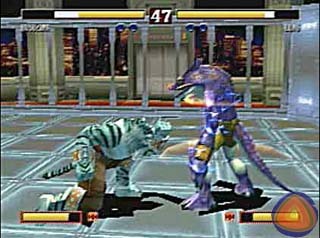 The BR1 "fail" designs were replaced with some cooler animalistic combatants, including: Jenny (the bat chick), Shina (the female leopard), and Busuzima (the chameleon). 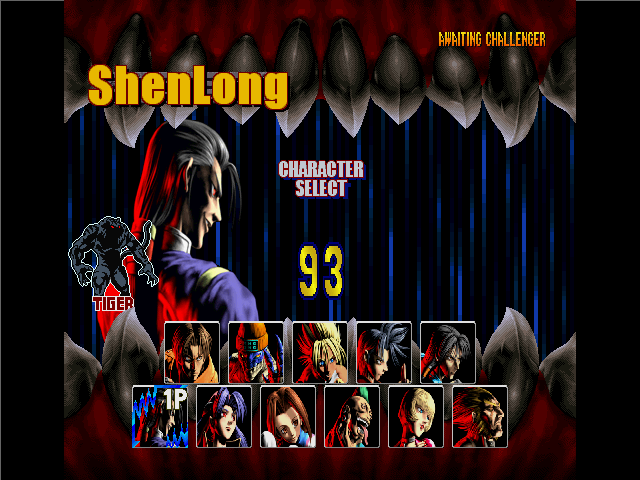 Overall, Bloody Roar 2's character roster is definitely more well-rounded than in the first game. 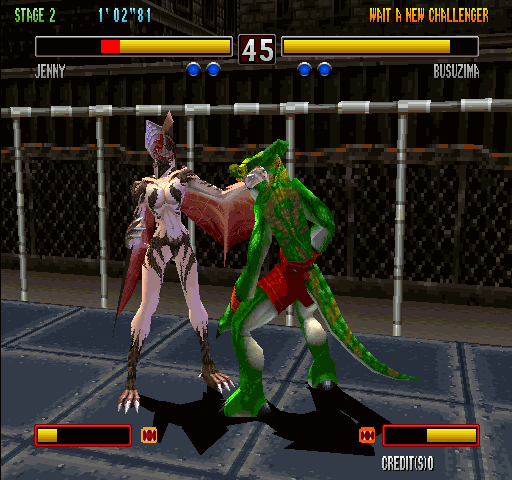 Bloody Roar 2 presents a semi-interesting Story Mode, which manages to flesh out the characters a bit. The downside is... it's mostly made up of pages upon pages of bland text and boring "still images". 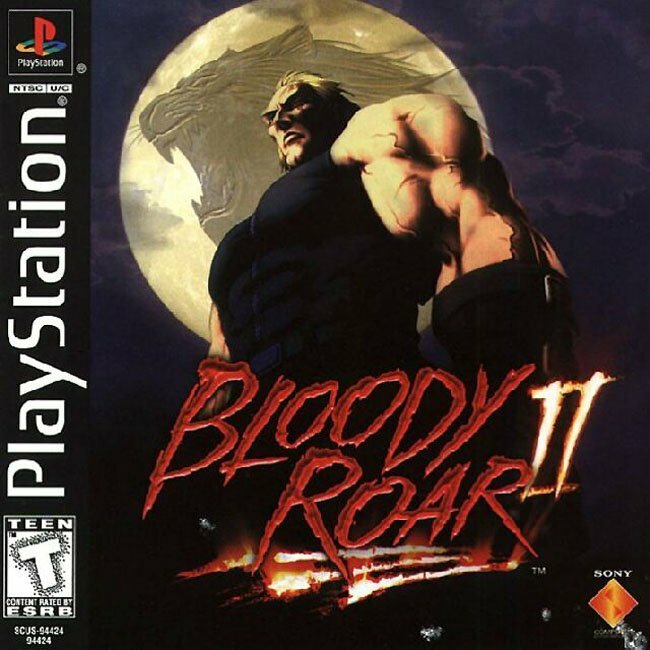 I wouldn't call it a very fun or exciting play-through, but at least they showed some effort with the storylines. 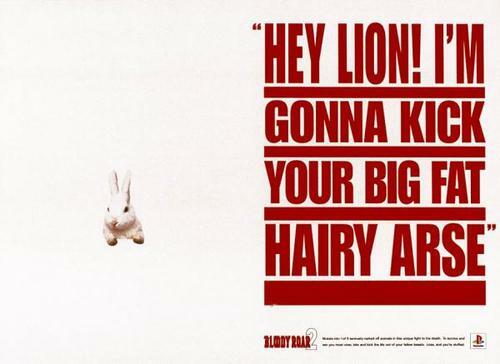 Still, the plot is pretty laughable, boring and is a bit sloppily done in general. 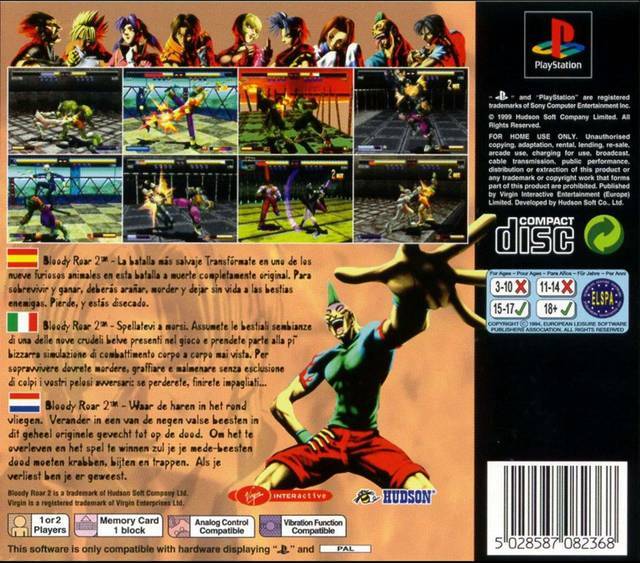 And on top of it all, the characters themselves have a hard time being likeable and leave much to be desired, especially when compared to many other fighting game personas out there in 1999. 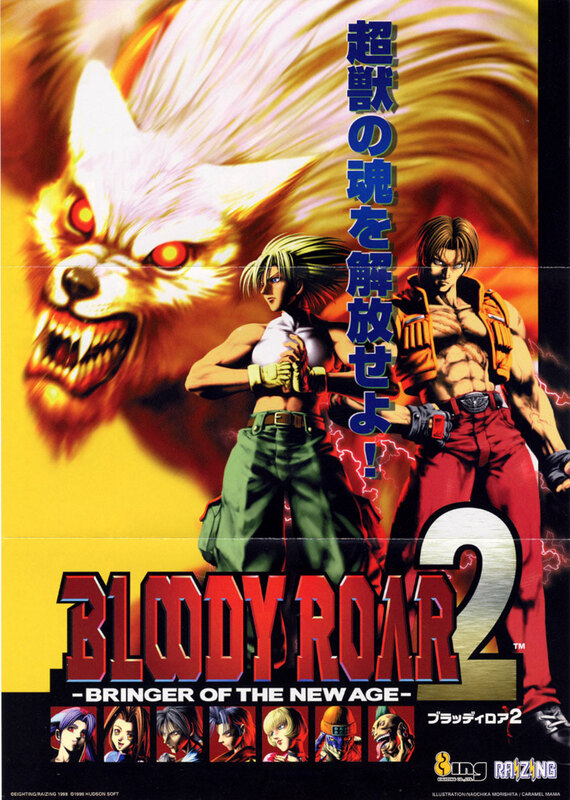 Bloody Roar 2 presented the best artwork of the entire series... by far. 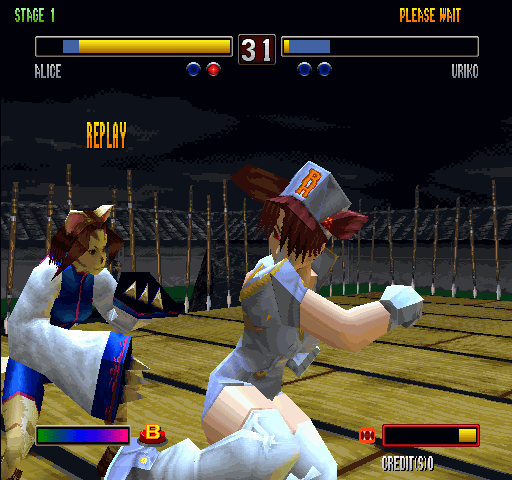 The gameplay in Bloody Roar 2 presents a mix of 2D & 3D elements and looks and feels very similar to the first game. 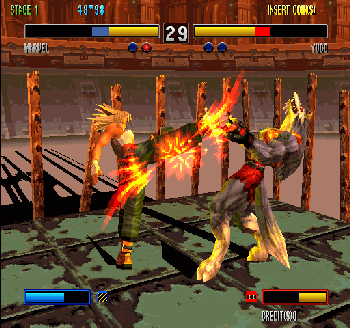 The gameplay is still heavily based on taking advantage of each character's beast form which make them stronger, faster and gives them more special moves. 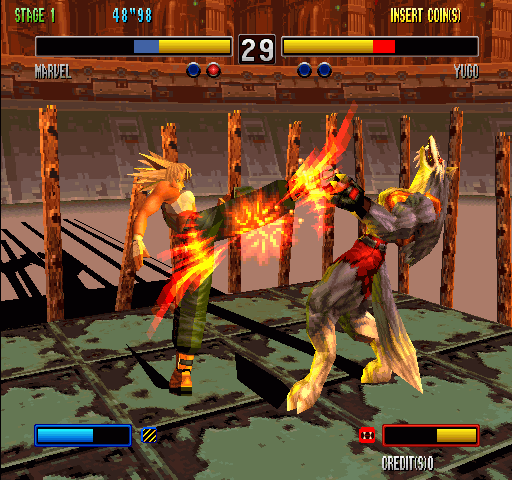 Replacing "Rave" mode from the first game, player can now perform a super move combo by hitting the L1 button while in beast mode. 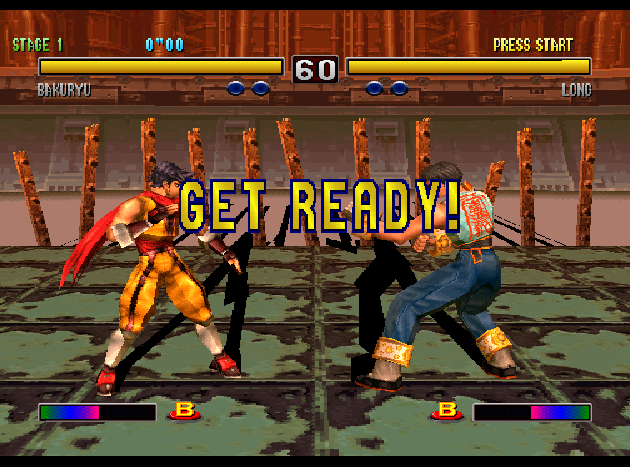 Overall, it's a very simple setup which is obviously aimed more towards the casual crowd rather than the experienced fighting game player. 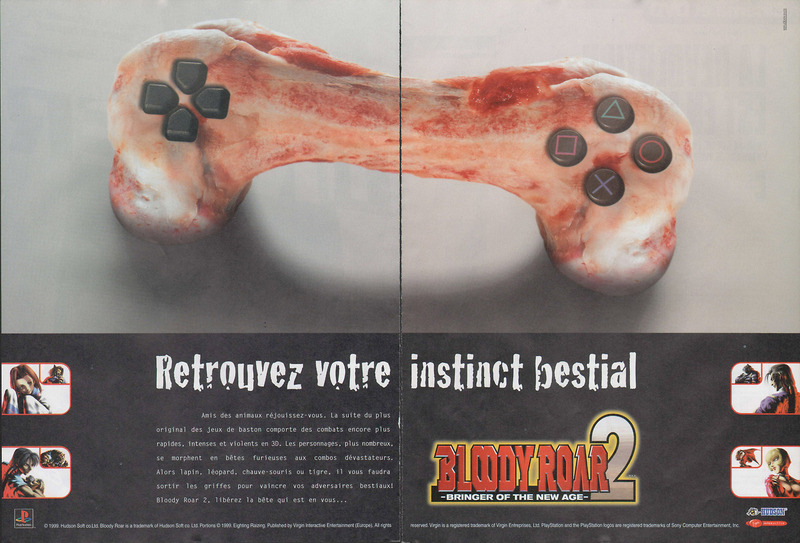 Personally, I couldn't find much of anything to like about the way this game played. In general, Bloody Roar 2 doesn't feel nearly as responsive as other fighting games at the time. 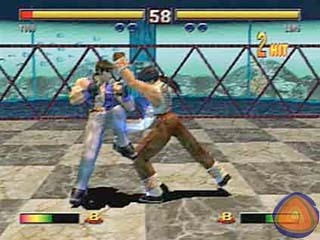 The combo system isn't really intuitive or fun, and it would seem that button mashing may actually be more effective than not in some cases. 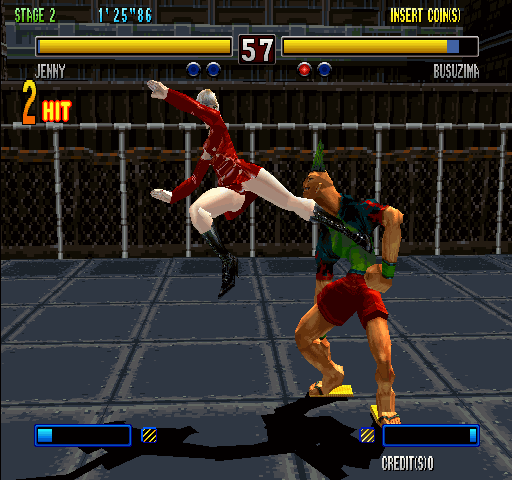 There are some halfway-decent combo possibilities that were thrown in, but any fighting game connoisseur can immediately tell that the gameplay engine was not the dev-team's main focus. Jenny the bat girl is pretty hot. 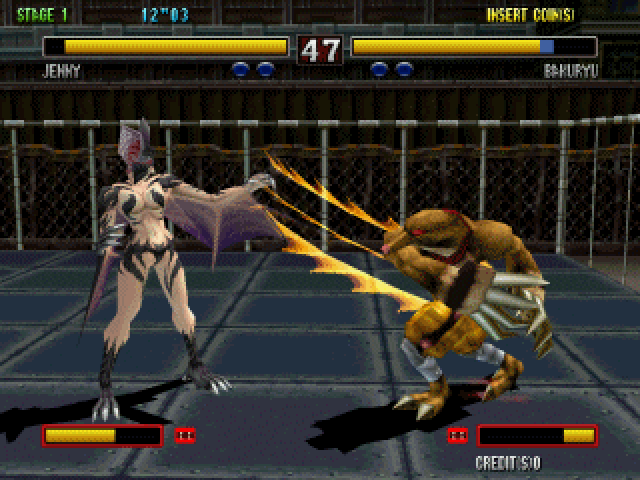 Bloody Roar 2's graphics are fairly solid for a PlayStation 1 game. 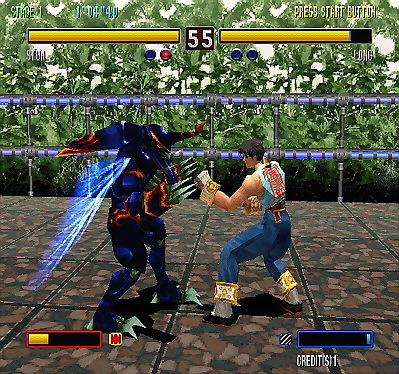 The textures and lighting effects are decent, but the stage designs and character models are definitely on the bland side of things. 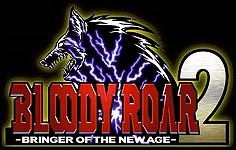 The sound effects & music aren't anything special either, and voice acting (and the announcer) is usually pretty irksome and laughable at best. 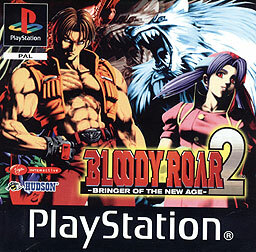 Like the first game, Bloody Roar 2 offers something "unique" to the fighting game realm, but won't appeal to the serious fighting game crowd and definitely didn't come close to the top tier of fighting games in the late 90's. 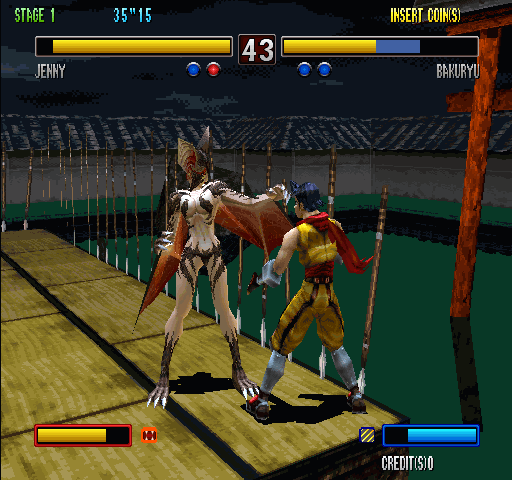 Final Words: Bloody Roar 2 is an interesting fighter for a few reasons. 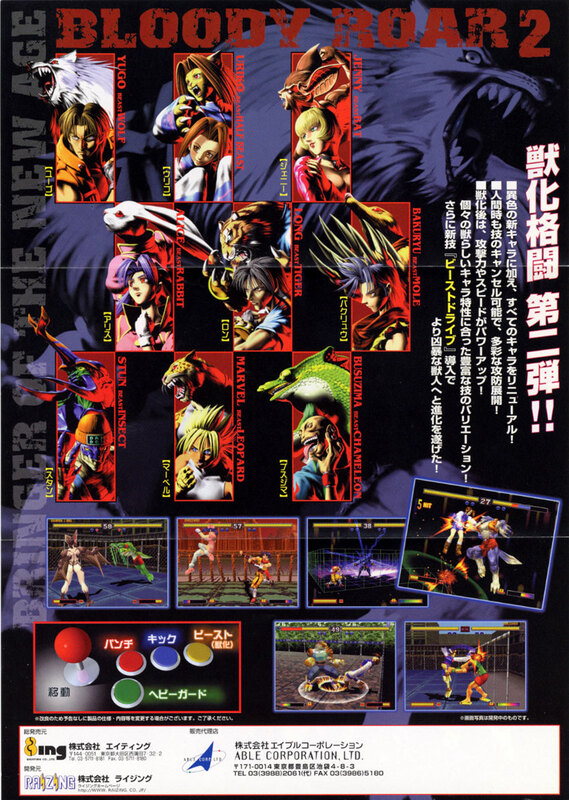 The developers clearly had a set concept that they stuck to, and some of the artwork is rather good. 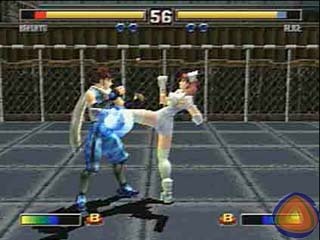 Some of the character designs are worth a look... mostly visually, that is... because their movesets aren't that impressive. 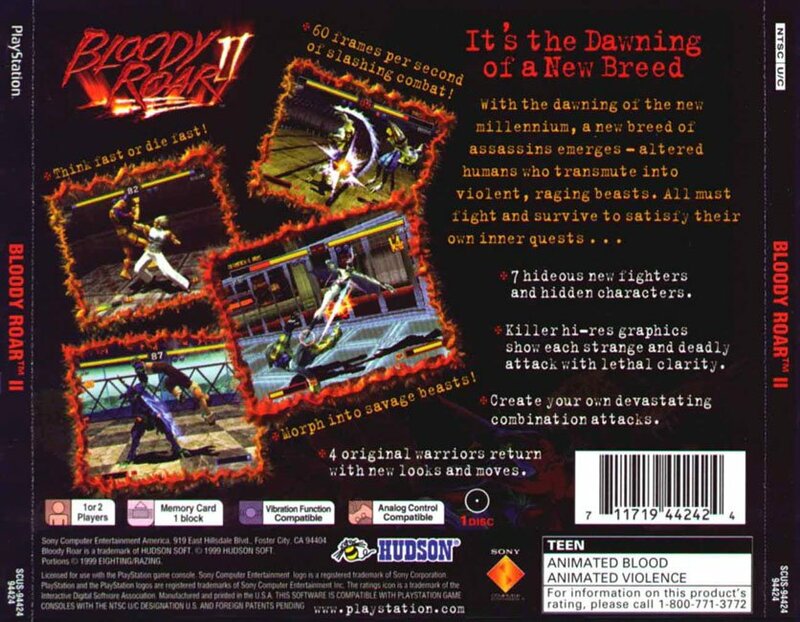 In every other way, BR2 falls short compared to other fighting games in 1999.